Homeschooling your kids is a unique opportunity to truly shape the minds of tomorrow, but even the most enthusiastic student can get bored at times. The hours spent reading lines of text, trying to solve math problems, and struggling to remember facts can really start to get your son or daughter down — unless you step in and make homeschooling fun and exciting. 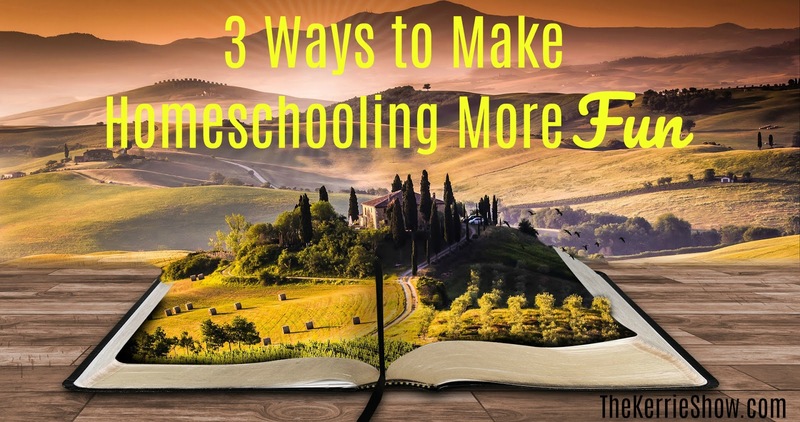 In this article, we'll share three homeschooling tips with you that will transform the way you teach your kids and give them new enthusiasm for learning. There are times when your kids will need to knuckle down and cram - but that shouldn't be their daily experience of homeschooling. Take the time to plan interesting outings with your kids that give them an opportunity to apply what they've learned - or learn by doing. Studying biology is way more fun at the zoo, while history comes alive at museums and monuments. As long as the outing is related to the work they are studying, they'll remember it more easily and have fun learning. The cold months are especially hard for homeschooled kids, because nobody feels like leaving home in winter. To break the monotony of this season, get your kids some clothes especially for school time and head out for some educational adventures. Moncler for kids has a wide selection of outerwear that is both stylish and functional. Snowy climates have their own unique physical features that your kids can study as part of their geography lessons, while the holiday season is full of cultural activities that make studying history, English and social studies more engaging. Head to a football game and get a physical education lesson! 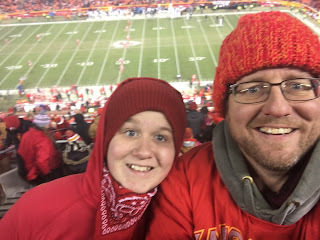 Go, Chiefs! A teacher who is able to make their subject seem fascinating, relevant — or at least useful - by telling interesting stories and sharing life experiences is more likely to succeed than a boring bookworm. Whatever you teach your kids from a book, tell or show them how it makes a difference in the real world. If you're not sure yourself, take some time to research it online and think of ways to explain the topic to your kids in practical terms — you may learn something new yourself. 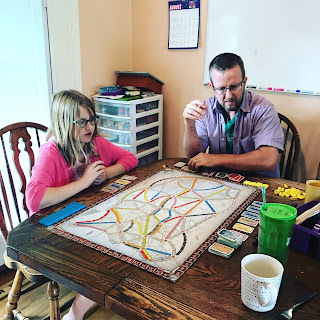 Daddy and Callie playing Ticket to Ride on a Sunday ... geography, math and more! Math, science, and history are three subjects that kids usually describe as difficult or boring — but they are essential to understanding the world and shaping your child's outlook later in life. By showing your kids how these subjects (and the people who study them) make a difference in our world, you'll inspire them to do their best. A visit to your local science or history museum is a great chance for your kids to interact with museum staff and volunteers who can explain difficult concepts in language that's easy to understand - and if you have questions of your own, they'll probably be happy to answer them. Touch pool at Shedd Aquarium in Chicago, Illinois. 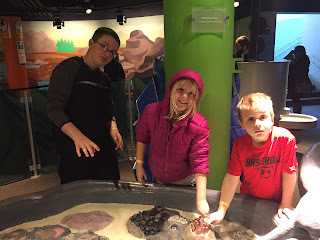 A great place to learn about science! By putting in a little extra effort, you can transform your child's experience of school and open their eyes to the fascinating world out there and the many ways there are to study and understand it. You'll have a unique bonding opportunity that most parents never have with their kids as you teach, learn and explore the world of knowledge together.